I am an experienced IT Professional and have worked in the industry for 30 years. Skills are varied but include Consultancy, Design, Infrastructures and Documentation. In 2017 I relocated to Norway and currently live in Oslo. Started working in IT for a major firm of Accountants, after completing my degree in Physics (with Economics) before moving into support. Progressed from troubleshooter/developer to creating and managing a support team for an international oil company. The role lead to a 3 year expatriation in France to undertake internal consultancy for subsidiaries, to develope technical documentation and to learn French! Worked for 18 years at a number of Cisco Gold Partners as a Pre-Sales technical consultant initially specialising in WAN design before moving into IP Telephony (IPT). Became portfolio owner for IPT for a European Cisco partner and worked, collaboratively, with colleagues in other countries to standardise the offering including development of solution documentation and case studies. For 3 years was Pre-Sales Manager for one Cisco Gold partner being actively involved in budgeting, career development and mentoring. 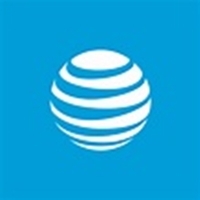 Moved into Consultancy 5 year ago, initially working in Pre-Sales for a Systems Integrator, followed by a multi year contract with AT&T as an Executive Deal Lead, a role that combines Solution Architecture, Commercial Business and Bid Management for Outsourcing opportunities. Have been the Deal Lead for two large opportunities, one in the energy sector (>$50m), the other in a Health Service (>$90m). Other consultancy work includes developing a wireless offering for a cabling provider, being technical director for a cloud start up and Unified Communications design for a Charity. When engaging with Jim on the subject of Unified Communications, it becomes immediately apparent that you have encountered a rare commodity. Many can talk about the theory of Unified Communications, but Jim’s experience has been gained in real-world customer deployments, and is underpinned by a solid foundation from many years of experience with data and voice networks. Jim is equally at home with the initial engagement, making sense of customer requirements and offering vendor-independent and pragmatic advice, and in turn providing a thorough and appropriate design, and then confirming his understanding by carrying out or leading the hands-on deployment. I have also engaged Jim with a review of a major vendor design and, with no ego, Jim is able to provide a mature and balanced assessment with the customer’s interest at heart. Jim would be my first port of call for any Unified Communications engagement. 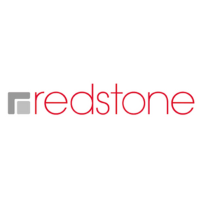 I have had the pleasure of working with Jim at Redstone. Jim is a focused, highly skilled pre sales professional with great ability, dedication and commitment. I would have no hesitation in saying he is one of the best that I have worked with and would highly recommend Jim. If you would like to discuss any potential consultancy requirements that you might have or would like to know more then please contact me.